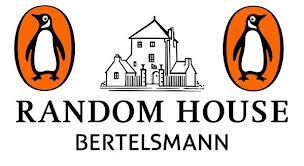 The planned merger of Penguin and Random House comes as no surprise and if anything we expected to see a consolidation in the trade houses earlier than this. The changing landscape of the market is such that only giants tend to survive in markets that operate under cut throat discounting and radical digital change. The question is how will the new giant reorganise itself to leverage the economies of scale and scope on offer? It matters little who owns what percentage, or even who sits behind what desk, the challenge is to maximise those areas that add value and consolidate those that do the same and incur waste. Much of the front office should remain as it is today, but again there are areas of scope to remove duplication and given their combined market share there is even more pressure to ensure that they don’t try to outsmart each other. 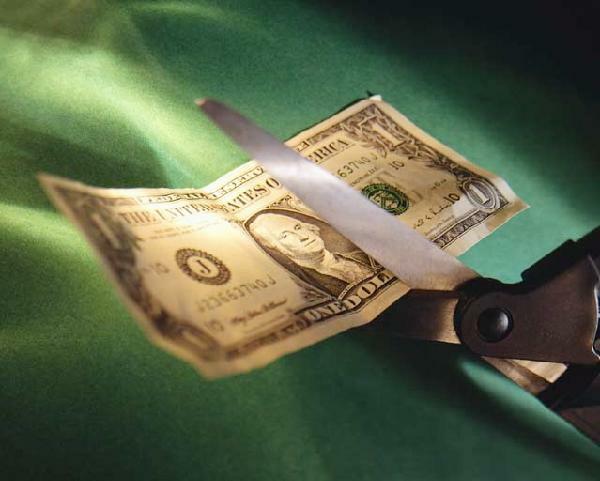 The back office would appear to offer much more scope for reducing costs and streamlining global operations. The fact that Rupert Murdoch's News Corporation were reported ready to crash the party and bid £1bn for Penguin this week, shows that all the big six are cognisant of the need for consolidation and that one move such as that taken by Random House and Penguin, could now lead to others very quickly. HarperCollins and Macmillan would make obvious bedfellows, but would the merger be merely restricted to trade or across both diverse businesses and could it also benefit sectors such as education were some would suggest both lag behind the pack. The music industry has show that, other than being niche and independent, consolidation of the major players may be the only way to survive. But are we really ready to go from six to three to two? Some may eye those just behind the top tier but sometimes its as easy to swallow a big pill than a smaller one and it often down to which gives the biggest payback. If we step back and look at the other relationships affected, we can envisage some mixed reactions. A top author in either house should expect the prospect of more sales supported by larger marketing and promotion. Even the smaller authors will probably be relieved if they are inside the new tent. Those outside the new giant will have to fight even harder to be seen and read. After all, market shares of 27% UK and 25% US, are not to be sniffed at. It relates to 1 in 4 sales, which means 1 in 4 units and a quarter of shelf space. The new organisation should be able to also commercially hit harder against the likes of Amazon, Barnes and Noble, Apple etc. They could even start to effectively market direct and try to compete head to head. This is especially relevant in the digital market, where their ability to innovate and make changes happen has now doubled and will now be watched closely and followed by others. So on balance, it would appear to be a sound move and a potential sea changer that others will have to follow. Now the betting starts on who will follow? Amazon has announced a free service that is about making it easy to distribute ebooks to groups. The immediate question many may ask is ‘so what, groups don’t buy ebooks’, but they do and today can’t achieve that mass distribution or broadcast. ‘Whispercast for Kindle,’ will allow purseholders and stakeholder to buy once and send with one click. Teachers can send to students not just ebooks but also set up and manage access policies on school equipment effectively blocking undesirable access. An enterprise could also benefit for the same controls, but it is schools and that lucrative education sector that Amazon appear to be focused on today. It effectively brings Whispernet out of the closet and to the front enabling it to be used to manage and control estates not just of Kindle ereaders but also Kindle Fire Tablet. Amazon report that Clearwater High School used 2,000 Kindles for over two years and now is using them in 122 schools within their district. Also a third world education provider, Worldreader, have been using the technology to deliver over 200,000 e-books to children in sub-Saharan Africa. Amazon claim that the technology is now being tested widely in hundreds of schools. So we find ourselves stepping back to understand how Whispercast could become a real asset top Amazon and win over not just schools, institutions but commercial organisations who are all looking for better ways to distribute ‘stuff’. We are not just talking about books but in principle anything that is supported over the network. Today we have services such as Dropbox who have made a healthy business out of doing the same in a cloud. We all have document, PDFs and stuff cluttering up emails which now are mobile. Its interesting to reflect that the Blackberry redefined email by making it mobile, perhaps Amazon are redefining the document world and broadcasting of digital stuff and don’t forget they also have the cloud to allow them to do even more. If they do extend the service to cover Kindle apps running on other devices it certainly could become a real differentiator and leave some behind. If you were in Jeff Bezos shoes would you buy the smartphone chip business of Texas Instruments (TI) who currently supply them with processors for their Kindle tablet? It’s an interesting question and one that Isreali finacial newspaper Calcalist claims is in advance stages of talks today. So you start of selling books on the Internet, extend that to media, open it up to create a marketplace, then to a wide range of other products, move to become a publisher and deal direct right back to manuscript, launch your own ereader, move into cloud based services, continue to grow both organically and by acquisition, into a one stop shopping emporium. The question is how far do you go technically? Does the ownership of the processor design give you better integration and lower cost base? Amazon is becoming harder to define but increasingly focused on creating that vertical total experience. They start with the products and service and move to encircle the total experience. Apple on the other hand start with the device and work back to the product. Which approach makes more sense and is easier to develop? The two things we are joining together is the creator and the consumer and Amazon clearly have that chain increasingly covered. Apple still are consumer and technology bias. Amazon has built an impressive walled garden but has also enabled others to participate all be it often only on their terms. Apple remain entrenched in their walled garden. The other player of interest, is Google and their approach to building Android and then effectively sub licensing the technology devices interface to others. Their approach is again different but their vision of being at the top is the same. Three different routes three different players. 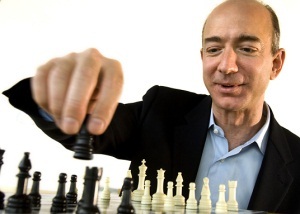 We don’t envisage seeing Amazon not moving for the likes of TI’s processors. It makes good sense to own the design through to the delivery and to not merely knit the technology together. Is Amazon capable of managing such operations – why not? Will it deflect Amazon – we doubt it. So will Amazon extend its device range to includes smartphones, ereaders and tablets – why not? 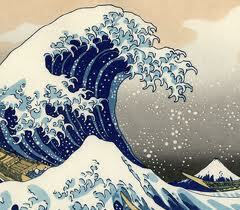 A Tsunami Hits A DMCA Safe Harbour? Under the Digital Millennium Copyright Act, service providers are allowed ‘safe harbour’ on content posted, but must act on any infringement notice that is served on them. Pretty straight forward and it is a process that happens everyday. However, it can break down and go wrong and in the case one notice appears to have closed down not one piece of content infringement but 1.5 million teacher and student blog articles. Pearson raised a takedown notice on ServerBeach who host Edublogs' websites. Edublog claims to be the oldest and second largest WordPress Multisite setup on the web. The infringement cited was aimed at a teacher's blog, which in 2007, had shared a copy of a 1974 Beck’s Hopelessness Scale's questionaire with his class. Pearson requested $120 for the 38 year questionnaire, which was posted in 2007 and ServerBeach contacted Edublogs. The notice sent to Edublogs had apparently already been actioned and the offending post removed and not being displayed. However as many of us know, deleting something doesn’t remove it from the search engines’ cache so it is still effectively there and in this case ServerBeach spotted a copy of the disputed blog entry stored in the working memory of Edublogs. When Edublogs did not respond within 24 hours to emails alerting it to the allegedly infringing content, ServerBeach shut down the entire site and some 1.5 million innocent blogs. The action over one DMCA notice impacted a whole community. Was this in fact compliance or over zealous compliance? 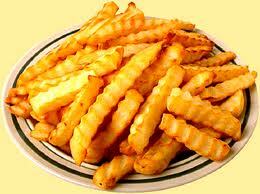 There then followed a open internet spat between ServerBeach and Edublogs. A whole innocent community of teachers and students have been effected by something that they should not have been exposed to. Who was right, wrong and whether it could have been handled better is subjective today. What is clear is that it is a bad day’s PR for DMCA, Pearson, ServerBeach and Edublogs and a worse day for a significant education community. So How Many Extra Staff Will You Be Taking on This Chistmas? How many companies can you identify that will be taking on 60,000 temporary seasonal staff this year? We have already written about the 10,000 additional staff Amazon intend to take on in the UK and now it has announced they will be joined by some 50,000 additional staff in the US! In effect Amazon will be doubling their workforce over the holiday season and that indicates the significant sales uplift that they expect that they will have to cope with. This is in addition to all the sales they make commission on through their marketplace which are shipped by their partners. It also excludes all the devices sales done by resellers. If Amazon is confident of this level of turnover who are going to be the causalities? Which retailers are going to have a bleaker Christmas than they expected? Amazon does not just ship books, CDs, Videos, games, but the emporium sells nearly everything and the kitchen sink. However, we must note their claims that their digital business is now more in some sectors than its physical counterparts. Digital sales need no extra staff and in fact need fewer staff so it begs the question how much physical business they expect to mop up this year. 60,000 temporary staff would indicate a lot! Ever since we saw and first wrote about Pranev Mistry’s now famous TED presentation on his Sixth Sense device we have been waiting for it to come to market. The technology interface we have today is staid and cumbersome and smartphone ‘pinch and zoom’ technology and Samsung’s Note pen are now starting slowly to break new ground. Microsoft have now produced a Digits prototype with the aim of creating a mobile device that enables its owner to control a range of equipment through hand gestures. Digits is designed to be the next generation of the sensor gloves but leaves a big question as to whether its design is still to cumbersome and unattractive to capture the imagination of the consumers. However, some experts question whether consumers would want to wear such a device during their day-to-day activities. A video showing off the product has been posted online. 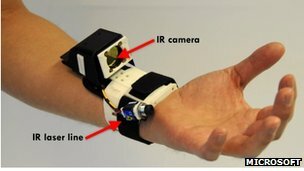 Digits’s camera-based sensor detects infrared light and together with software constructs a "fully articulated hand skeleton", which by measuring the distance between fingers a thumbs, can be determine, interpret and understand what the user's hand is doing. They aim to reduce the component parts such that the device could be the size of a watch, worn constantly and enable users to be able to interact spontaneously with their devices using simple gestures and not even touch them. Some of the gestures sound exciting; twisting an imaginary dial to turn up the volume, playing video games without a console by creating recognised gestures, tapping fingers on an imaginary smartphone pad to dial a number, closing and opening documents by clenching and opening your palms. So will Digits succeed to start to establish Pranev Mistry’s Sixth Sense world of become another games extension? If it can become device agnostic it may stand a chance but again will Microsoft tie it too closely to selling their devices and their operating systems? We must remember Digits is only a prototype so has a long way to go but that Pranev Mistry showed us clear direction and better application over two years ago. Microsoft continues to seek ways in which to join the media delivery party. They have tried devices, mobile operating systems, apps, services and have had one notable success – the Xbox. The Zune Media service was a flop and discontinued earlier this year along with the device. 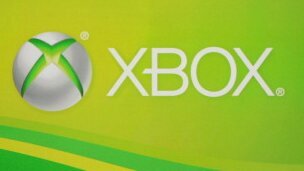 Microsoft then went on to help create Nook Media and before Nook has taken off, we now have the news that Xbox Music will be available on the Xbox 360 games console this week and available on Windows-based devices once Windows 8 is released later in the month. With a database of some 30 million tracks, the Xbox Music catalogue claims to be larger than even that of Apple's iTunes, which only has a mere 26 million tracks. But is volume enough when we are talking of a greater depth of music than even the connoisseur would expect? However, like Spotify before it, Zune Media will offer a free version of the service, enabling users to stream music, with adverts appearing every 15 minutes. This may not be what Xbox users expected but Microsoft have carried out research which claims that some 60% of Xbox owners time on their consoles is spent using entertainment services rather than playing video games. Does this therefore mean that the consoles could become a sort of media tablet or platform? After all if one has invested in the console why buy another device to do the same and if that is the case why not use Zune Media for music? So the Xbox can support Netflix, BBC iPlayer and sports TV network ESPN and now Zune Media and the obvious question is how this fits with Nook Media and ebooks? The challenge, maybe to not build on the Microsoft brand, but to redefine it cleanly around the Xbox itself. However, naming the new service after a 'dead duck' is not a good omen on a service which is clearly about collections that are meant to last even if they are on-demand. It also begs the strategy direction Microsoft aim to take with Nook Media? Three Start-ups That Could Change The Market? New services are appearing weekly and all offer to either, save publishing, or redefine it within the new digital world. This last week has been no different and has seen three new services gain visibility, drive interest and create a significant volume of debate amongst the industry thinkers, and advisors. What is now interesting is that services are being launched with outside funding and these are not only different, but are potentially very disruptive in how they challenge the way we do business and interact within the market. Are objective today is not to decide the winners and losers but to explore some of the challenges and their potential to disrupt tomorrow. Humble Bundle create a package of ebooks from different authors and offer these at a consumer driven price. In other words the consumer chooses how much they want to pay. If they pay more than the average payment they can receive additional ebooks and they also get to choose how their money should be divided. The files themselves are DRM free. We all remember the famous event when Radiohead did the same consumer driven pricing for their album release, ‘In Rainbows ‘. Some gave a cent, others paid a responsible sum, others paid a fee aligned to the standard RRP. It caused a stir, gave Radiohead loads of publicity and as a one off promotional exercise and according to who you listened to, worked, or didn’t. Humble Bundle are doing the same in other media sectors with their ‘brew’ bundles and now have extended it to ebooks. The collection on offer featured books by the likes of Cory Doctorow, Neil Gaiman, John Scalzi, etc. The titles offered are mainly backlist with the exception of one new Tor title. Some may be forgiven to thinking that the children had actually taken over the chocolate factory. The ebook bundle certainly gives new meaning to the term ‘net receipts’ and raises many questions on rights, other renditions and the model’s sustainability if it were widely adopted. Cory Doctorow claims combined sales have exceeded $400k. However how many of the bundle have or will be read and what is the percentage that is merely there to pad out the bundle to make it look attractive? Are the receipts spread evenly or do they go to the better known authors and to the detriment of others? It certainly is a great promotional way to sell backlist, and maybe mix in some front list to add spice. It would also work were there is a clear genre attraction, but is it just another Groupon in the increasingly ‘Voucherclouded’ world? We can only read one book at any point in time and a bundle would suggest a high percentage will be mere shelf fillers to aid a promotion. When ebooks are being sold at 97% discount, you can’t blame Humble Bundle’s for asking , how much? No it’s not the latest swipe card for London Transport, but a new start up which offers a different sort of a potential ‘pearl’ to publishing. It is not the first, nor will it be the last start up to offer ebooks under subscription. However, it’s well funded and determined to push the increasingly visible issue of ‘licence versus ownership’ . Oyster claim to be the new ‘Spotify for ebooks’ and we can’t argue that this make sense and is long overdue. However, just as Spotify have found in changing the music culture, there are many questions and challenges Oyster now face in its drive to change book culture. Oyster offer a ‘much as you can eat’ for a straight monthly subscription. This makes good sense but we are all constrained by time and they are highly unlikely to have the field to themselves. The subscription has to offer a true value statement and match or compete with the current high discount offers in the market. This is becoming increasingly difficult as some front sellers are being discounted at ridiculous levels such as 97%. The traditional retailers can easily undermine the Oyster offer by heavy discounting on the leading titles and Oyster’s ability to respond may be somewhat limited. The next challenge is on range. If Oyster offer the full range, then how will they be seen as different and what compelling reason will the consumer have to tie themselves into a contract as opposed to playing the market? They could ‘twig’ content and feed vertical niches, but as readers are eclectic in their habit, they will fall into the hole the big book clubs did before them. They could align with vertical interest groups, but today they have not said this is a route they are planning to take. Then we have the commercial model and rights whether these sales fall under business as usual, subsidiary sales, or whatever. Asking publishers to revisit contracts can be a big negative and roadblock to getting content. Therefore publishers need to be able to square the subscription model against their existing contracts. The subscription model is logical in a licenced environment but changing culture is not easy and the digital market has a reputation in being somewhat fickle even if there may be a pearl in the oyster. 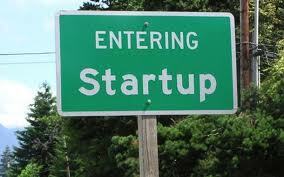 Finally we come to what may be the most contentious of the start-ups, Bookshout. The new operation is attempting to aggregate readers ebook libraries, by what some may described as the back door. A member gives Bookshout their Amazon, Nook and whatever logon details and allows Bookshout to use these to effectively log on and verify their purchased ebooks. Bookshout then sets up copies of these ebooks on their service, enabling the reader to be effectively device and retailer independent. The new copy is provided by the publisher on the basis that Bookshout has established proof of previous purchase. Bookshout can not only consolidate a reader’s library onto their platform, they can also consolidate reading information and activity information and feed this back to publishers. Obviously, Bookshout retails ebooks in their own right too. Questions remain as to what DRM they are using and how what is effectively therefore a fresh licence can square with the like of the lack of a first sale doctrine on media today. The publishers appear happy , BookShout are happy, but how long before Amazon and Nook shut the back door? It somewhat like making a business on stealing someone else’s sale and expecting them to roll over. Who does the customer have a contract with? Obviously, their unique proposition is based on the member being willing to give them their personal access credentials and that the publishers accept that they have established proof of purchase of the original licence. Most importantly it is also based on them being able to operate, within what some may say, is a loophole in Amazon’s and Nook’s terms both with publishers and their consumers. So is Bookshout the reading platform for all? Will it be the place of choice or merely somewhere one goes to aggregate their library? It may depend on how many people have ebooks from both Amazon and Nook which no one today can really answer but is a big question on which to build a business. The interesting thing is that all three if successful are disruptive, but how do we measure success and is it sustainable or merely a flash of first mover excitement? The page features a collage of some 36 x 36 book jackets (1296) clearly demonstrating the range on offer and with the new message plastered over them. 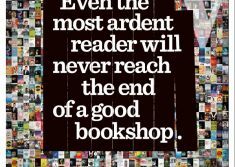 The doyen of bookselling, Fred Bass of the Strand in New York proudly claims 18 miles of books and range is something all booksellers are proud of. Sadly Waterstones can’t manage 1296 books without having to resort to duplicating many of the books in the collage. Some are repeated not once but up to 5 times and that is only on those that are visible behind the branding headline! Perhaps there is a subliminal case of product placement in play. Perhaps the publishers have to pay to get their jackets on the page and some could not resist a multi-buy option. We could have a great competition identifying the repeats and like some deliberate mistake game see who gets the most placements and which book scores the most repeats. Simon Cowell, Bruno, JK Rowling and others all seem to be featured 4 or 5 times alone! We have seen the significant legal bills that publishing is now having to stomach and now more often than not are pitted against organisations with significant ‘war chests’ and deep pockets. However these pale into chump change when you look at the patent battles between the technology giants. Samsung Galaxy family of smartphones and tablets are now a serious threat to Apple they are starting to gain a quiet momentum to dominate the market. Remember RIM (Blackberry), Nokia, Sony Ericson, HTC? They have all challenged but in the end failed to deliver that extra piece and take the market. Now Samsung is everywhere and you only have to look over your shoulder on the train, the underground to see Samsung devices and the company now expects to deliver operating profits of 8.1 trillion won ($7.3bn; £4.5bn), which is nearly double last year's figure and beating analyst expectations and sending Samsung shares 1.5% higher. But with success comes the legal battles and costs and it is not all plain sailing for Samsung and the increasingly acrimonious patent battles with Apple continue and are escalating. Some are now starting to question the effectiveness or appropriateness on some patent laws especially in the US. We have had the rejection of Apple claims in some countries and the notably victory on home turf in California. Samsung to be fair also has won patent cases on its home turf of South Korea. Samsung have now added Apple's latest handset to a US patent lawsuit claiming the iPhone 5 infringes eight of its technologies. These include features to synchronise photos, music and video files across several devices, and a method tocapture and send video over the internet. There are also ‘Frand patents’, which refer to technologies Samsung has an obligation to licence on "fair, reasonable and non-discriminatory" terms as these are regarded as essential to data transmission standards. The other six disputed innovations are feature patents, and in theory Samsung could force Apple's products off the shelves if it does not remove the functions from the devices. We have potential huge fines and moves to remove devices from the market on both sides of the fence and with Samsung owning some 30,000 US patents it is easy to see this is going to get very legal and costly for everyone. Judge Richard Posner who presided and subsequently threw out a case involving Motorola and Apple in June, has posted a blog calling for an overhaul of the law regarding software patents. "Nowadays most software innovation is incremental, created by teams of software engineers at modest cost, and also ephemeral - most software innovations are quickly superseded." he wrote. He advocates that the 20-year-long patent protection that is sensible for pharmaceutical drugs do not apply to software. Irrespective we now have a further twist in the notorious Californian $1bn patent dispute which Samsung lost on Apple’s home turf earlier this year. Samsung are now claiming that the jury foreman in the original trial did not fully declare his interests so engaging in a serious misconduct that prejudiced the verdict. It is claimed that jury foreman Velvin Hogan "failed to answer truthfully" on information about his past involvements in lawsuits, had a grievance against Seagate over a breach of contract he lost and led to his bankruptcy some six months later, (Samsung are Seagate’s largest shareholder), had a grievance against the law firm Quinn Emmanuel which s the same firm in both cases. Samsung have also raised points on interviews, given by Hogan where he admitted giving instructions to other members of the jury on matters of patent law based on his own experience – instructions that Samsung contest. It all sounds like a plot from a John Grisham novel. Judge Koh has now to rule on the various issues and motions related to the case. 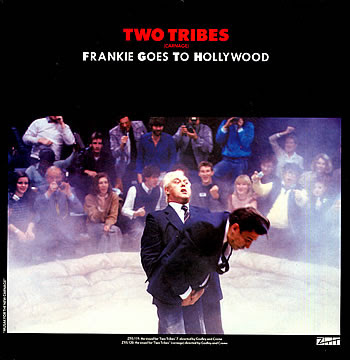 ‘When two tribes go to war, a point is all that you can score ‘ Frankie Goes to Hollywood. 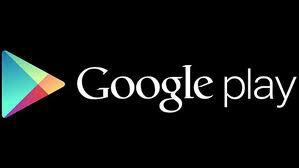 Google Play and Lawyers Win? Seven years is a long time in this digital age and much has happened since Google first attempted to land grab all the content, adopt the orphans and hoodwink the industry. Seven years of litigation, seven years of fat legal expenses and seven years which on reflection were sometimes sad as positions were taken and sometimes it appeared the industry was hell bent on a programme of civil war. It was somewhat inevitable it would be settled ‘out of court’ and behind those now richer lawyers’ doors and yesterday the Association of American Publishers (AAP) and Google announced a settlement agreement and the dismissal of their lawsuit. The Authors Guild fights on and no doubt we may hear of a similar settlement in the future. We don’t know the details of what has been agreed other than the high level statements which say much, but as ever are open to much interpretation. What is clear is that although the simpler and less contentious case of the publishers is resolved, the core issue of orphans remains unresolved and somewhat on the table. The settlement would appear to remain an ‘opt out’ not an ‘opt in’ model which is a clear win for Google and it is somewhat unclear what the terms are. The question remains; who owns what and whether digital rights of books digitised by Google under its programme are actually all owned by the publishers, or assumed to be owned and aligned to the print rendition? There is no mention of the rights registry, so the one positive the old settlement would have delivered appears to have disappeared with the will to continue the fight. Following the agency debacle, this would appear to be the second attempt to derail Amazon that has expensively gone wrong. It would lead some to question the cost of litigation incurred and what has been achieved in return? Amazon is not just a books, music, video, games and media retailer, it is the major online 'one stop shop' for many and one that has a cross merchandise offer that is very powerful and even threatens the likes of Walmart. If we take the latest UK news that they are increasing their take on of temporary UK staff for the Christmas run-up from 3,000 to 10,000 short-term packaging jobs in just three weeks, we see not only their commitment, but also their decisiveness to do business. How many retailers can you name who are taking on such numbers? Some 2,000 of the workers will also retain their roles after Christmas and join Amazon’s growing 56,000 full-time worldwide workforce. Amazon have also just announced that, Amazon Studios, has optioned its first novel, the Amazon-published, Southern horror 'Seed'. The book is a Southern gothic suspense tale of an "ordinary man with a demon on his back." It was authored by Ania Ahlborn, under Amazon’s sci-fi, fantasy and horror imprint, 47North. The book is a self-published and a viral driven Amazon ebook bestseller. By developing Amazon Studios Amazon is now becoming a content developer with multiple channels to develop, promote and exploit content. This offers authors something that is truly unparalleled within the media market and could further fuel author deals that others will not be able to match. Amazon Studios already claims to have optioned 10,000 movie scripts and 1,800 series pilot scripts, and although this number will reduce to a mere handful of projects such as 'Seed', the process and momentum is there for all to aspire to. But Amazon's growth is not just driven internally and by themselves. Marketplace is further fuelling its 'one stop shop' environment and building on the realisation that books are books, be they new, old or used and being able to compare and buy from within one trusted store offers more than any simple comparison sight. Again Amazon have thought out consumer behaviour and matched their service to fit it. Many now have feed their catalogues into Amazon’s marketplace and are happy to get new sales and pay a commission on price paid and the postage incurred. This is without the many 'agents' who simply refer their sales to Amazon to fulfil. Amazon’s growth is also being fuelled by the likes of Pogoplug who have launched an Amazon-powered cloud backup service in the US and UK. Pogoplug allows users to stream photos, music or video from their home computer to wherever they are in the world. Pogoplug mobile is a new device that allows users to access unlimited media streams from their mobile device using Amazon’s new budget cloud Glacier service for offering users low price fast cloud storage with prices around £19.99 a year for 100GB of offsite storage. Building a further trusted layer to many consumer relationships. As Amazon continue their path to dominate many markets, they do have another side to their business face. They are giving back to one community around its fulfilment centre in Spartanburg, US by donating some 40 Kindles to the local School for the Deaf and the Blind. The students will also received $2,500 in gift cards to download resources to the new devices. 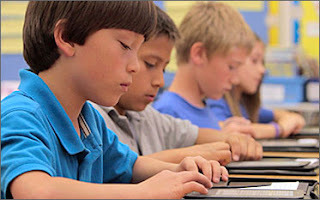 The Kindles have a number of disabled-friendly features such as text-to-speech and large print and thereby obviate the need for visually impaired students to have wait for the audio book or large print edition. Amazon is developing and creating its own ecosystem which is fuelling growth and is the only giant who not only understands the consumer but marries technology, media, retail and a thriving marketplace under one roof. Do Sales Rise as Discoverability Cost Increase? Who should do what, and spend what to promote what, is an interesting challenge with authors, publishers, retailers all trying to be the communications hub with their consumers? The buzz word today is 'discoverability' and how we can all channel our resources (money and effort) to making it work. Google, Twitter, Facebook all are about advertising and maximising their opportunity for businesses to pay to be see over the crowd. If you want to be seen at the top of the search then search optimisation is a key and money is the answer. If you want your tweets to resonate then again money is the answer and now Facebook is to join the game which gives you details on how many people have viewed what has been written. Anything that gets searches, tweets and events and posts ‘seen’ is fair game and with it obviously comes an army of helpers to enable businesses to exploit these facilities at an additional cost. Facebook now plan is to introduce their new post service in the US and has begun tests in New Zealand. The cost is thought to be $7 a post and obviously could raise significant revenues for the social giant. What is clearly now starting to appear is a whole series of new toll boths and additional cost options to doing business on the internet, or as some would suggest – doing business. Social and Search giants are not alone in creating new additional and compelling charges , the banks, insurance and other financial institutions have done it for years. The questions are now whether the market can sustain the overall costs, who should respond and how and who should channel their resources elsewhere?